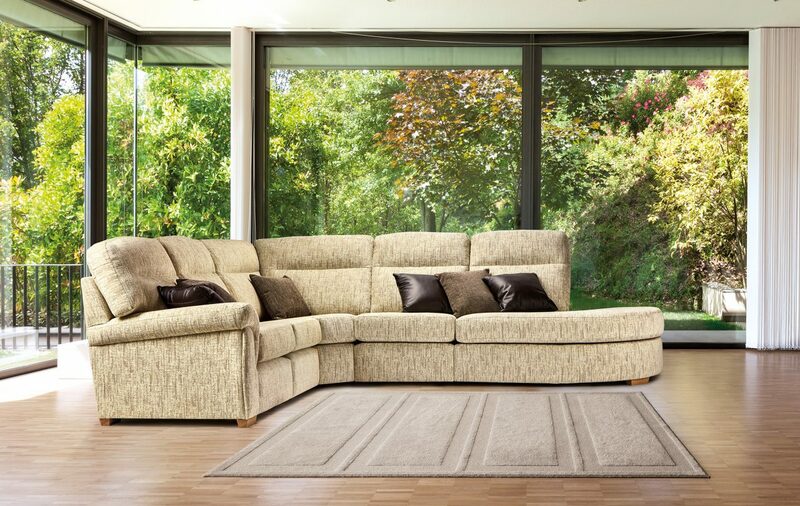 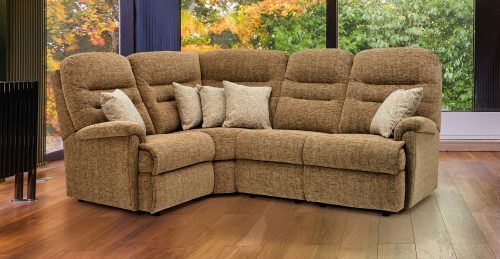 Shown in Cairo Willow with Light Oak Feet, Fabric Facing and Scatter Cushions in Poseidon Mink and Queensbury Chocolate Leather. 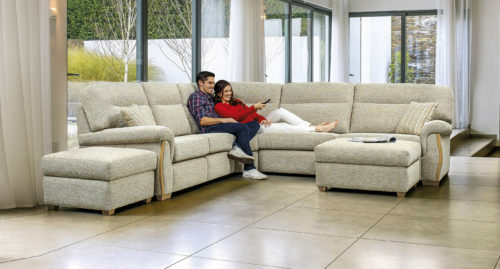 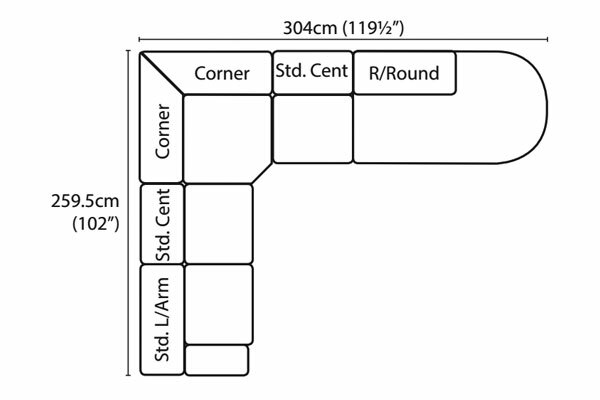 Attractive Corner Suite layout showing the Round End section with a Standard Left Arm and two Standard Centre sections. 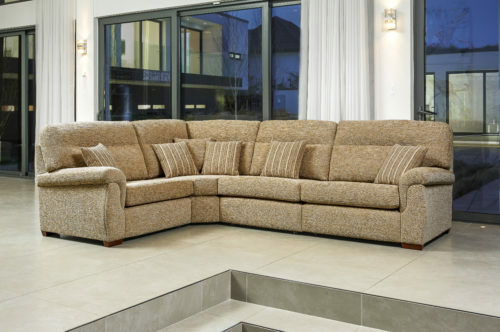 Choice of Dark Beech or Light Oak feet with matching or fabric facings.